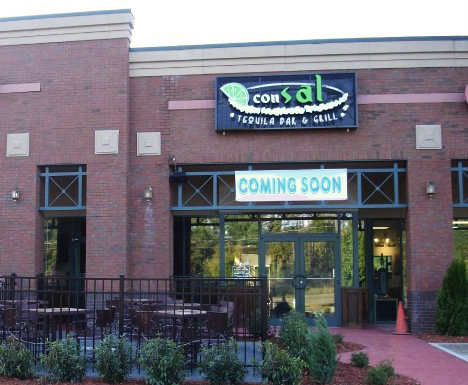 Logo design for Con Sal, a tequila bar & grill. Design an eye catching, fun and modern logo for a new restaurant serving Mexican food and high end tequila. 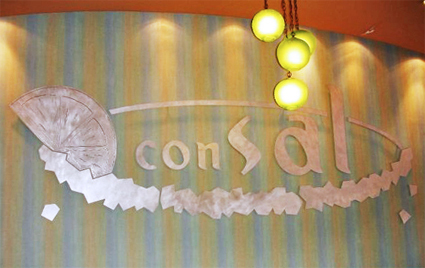 Created a logo inspired by the rim of a margarita glass which also plays on the restaurant name Con Sal, which means “with salt”.